Adaptive information filtering is a challenging research problem. It requires the adaptation of a representation of a user’s multiple interests to various changes in them. We investigate the application of an immune-inspired approach to this problem. 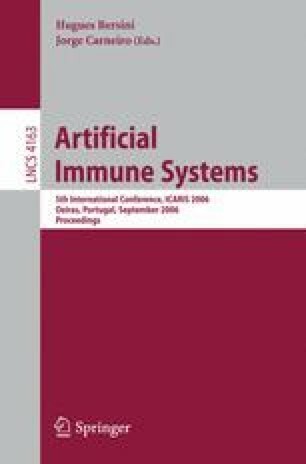 Nootropia, is a user profiling model that has many properties in common with computational models of the immune system that have been based on Franscisco Varela’s work. In this paper we concentrate on Nootropia’s evaluation. We define an evaluation methodology that uses virtual user’s to simulate various interest changes. The results show that Nootropia exhibits the desirable adaptive behaviour. 1.Computing DepartmentThe Open UniversityMilton KeynesU.K. 2.Knowledge Media InstituteThe Open UniversityMilton KeynesU.K.